Rarely do I take a trip down memory lane on this blog, but alas, today is one of those times. 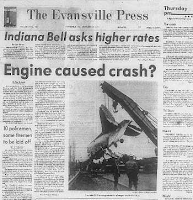 I was stunned a few weeks ago when I realized that it had been 36 years since a regional tragedy shook southern Indiana to its core. Tuesday, December 13, 1977 was a cold, rainy evening in Evansville, Indiana. Fog was moving in in front of a cold front, and wind gusts whipped across the prairie. The University of Evansville Purple Aces, the men’s basketball team, was preparing to head to a game at Middle Tennessee State University in Murfreesboro, Tennessee. But the team had waited over three hours at the airport before their plane arrived. It had been delayed due to inclement weather. The players and their new coach, Bobby Watson, were excited and anticipating this game, thinking it could be the beginning of the holiday turn-around games they were expecting to win. With a 1 – 3 record going into this game, the Aces wanted to prove they had what it would take to bring home a victory, and that their young, optimistic coach was right – in their first season of Division 1 competition they planned to be a force to be reckoned with come spring. And the City of Evansville staunchly supported them. 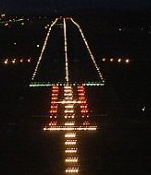 But at 7:22 p.m., on runway 18 at Evansville Dress Regional Airport, all hopes for the team and their coach ended. 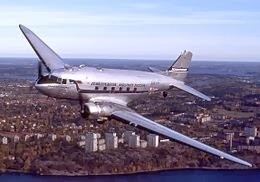 Within 90 seconds after takeoff, the twin-engine Douglas C-53 (DC-3) chartered to fly the team to Nashville, lost control and crashed in a nearby field. There were 29 people on board; 25 were killed immediately. Three others died at the scene. Only one person made it to the hospital where he died a few hours later. The hometown basketball team was gone. The horror of the crash rebounded around the city, the state, the Midwest, and the country. The report also stated that the passenger baggage had not been loaded correctly, creating an improper weight balance in the rear of the plane. 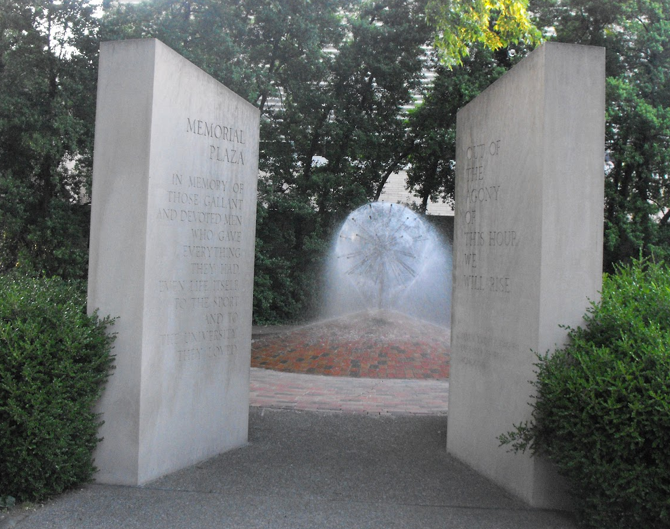 Of those who were killed, 14 were members of the Purple Aces basketball team, along with Coach Bobby Watson. Also on board were three student managers, three UE officials, the team’s radio announcer, two fans, and four members of the flight crew, along with the president of the airline. Only one member of the Purple Aces had not been injured. Freshman David Furr, who also served as the team’s statistician, had been sidelined due to an ankle injury and was not on the plane that night. But two-weeks later, Furr and his 16-year-old brother were killed in a car accident after being hit by a drunk driver. 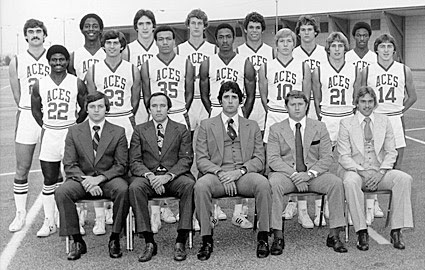 By the end of 1977, all of the members of UE’s Purple Aces were dead. A memorial plaza was built as a monument to the team. 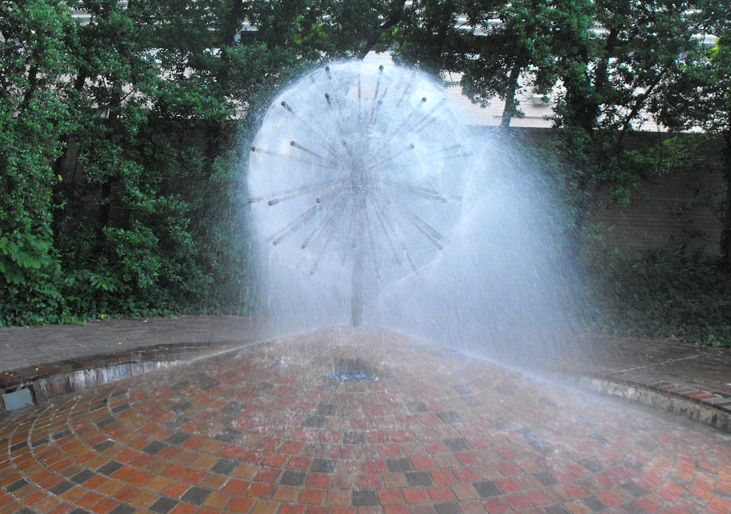 What is known as the “Weeping Basketball” stands in the center of the plaza. Stone slabs are engraved with the names of all who died in the crash, and also teammate David Furr, killed two weeks later. 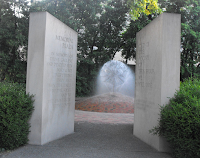 The memorial is located on the University of Evansville campus. 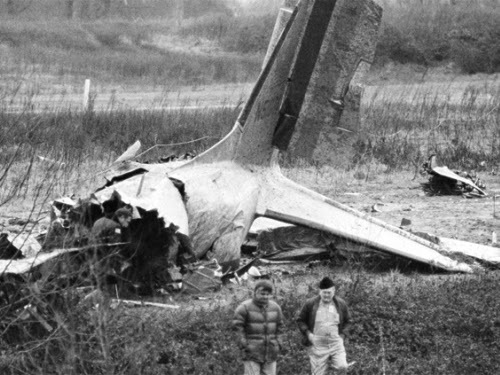 Tonight will mark thirty-six years since the crash of the team’s plane. A lot has changed, yet some things remain the same. The university basketball team still fights under the mantle of purple, and the city is as enthusiastic and supportive as ever of their Purple Aces. Yes, Hoosier Hysteria still reigns throughout Evansville, and the state of Indiana. But many who can recall that terrible event will pause this evening, and remember the night when basketball died in a barren southern Indiana field. 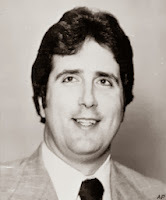 James Stewart, president of National Jet Service, Inc. Thanks, Joy, for this remembrance of the Evansville Purple Aces. This was their first year in Division One. They had been Division Two National NCAA Champions; once with a perfect 29-0 record featuring Larry Humes and Jerry Sloan (retired long-time coach of the Utah Jazz NBA team). I actually attended the then Evansville College (now University of Evansville) to get into the home games at no charge as a student! 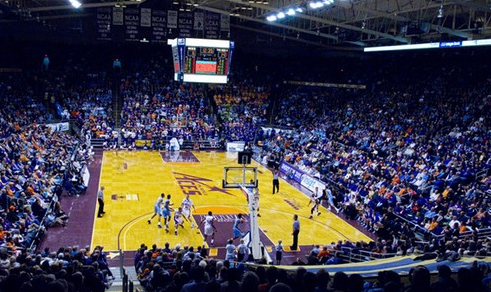 As the state of Indiana is a big basketball state, Evansville is a big basketball city! I remember this tragedy as being one of the worst of many tragedies of many types. Evansville lost a big part of its heart that night. Very well said. Basketball is THE sport in Indiana, and a tragedy like this shakes its citizens to the core. Thank you for this rememberance. My family were long time UE fans. They took me to games as a baby. I was living in Dallas at the time and driving to work. Paul Harvey came on the radio and said "In Evansville IN when a baby is born they don't want to know how much they weigh but how tall they are. It is the land of Hoosier Hysteria. Last night the entire Evansville team died in a plane crash. I was on a busy highway, but had to pull over because I was shaking and my eyes filled with tears. I'll never forget hearing that. Hard to believe it has been 36 years. May God continue to bless all those families left behind.